Welcome to Bay Area RV Blog Site. Serving the Bay Area with all your RV and Motorhome needs. Bay Area RV Blog is the best source of RV news and information related to RVs, Campers, Camping, Motorhomes, Trailer, Travel Trailers, Fifth Wheels, Campgrounds, National Parks and State Parks in North California. 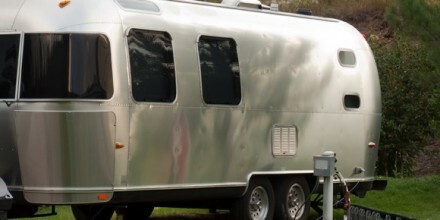 Welcome to the Bay Area RV Blog Site. Please post your questions or inquiries about RVs and Motorhomes. What’s the solution to a high fuel cost? Teardrop camping trailers make sense in this economy of high fuel costs and are a smart economical choice for those looking for outdoor adventure with basic camping needs. Here’s a great resource for RV’ers. RV Consumer E-magazine. Bay Area RV is now an official Weekend Warrior and Extreme Warrior Service Facility. If you have questions about weekend warrior warranty repairs please feel free to contact us at 888.980.2278. We carry all weekend warrior and we can also customize cabinetry’s per request. All cabinetry work are all in-house. Bay Area RV is the best kept secret in Northern California as customers from San Jose, Milpitas, Morgan Hill, and even from Sacramento are flocking to Bay Area RV for professional and reasonable RV service. Many customers of Bay Area RV have spread the word that this is the best place to bring your RV for service. Honest, reliable, dependable and very knowledgeable staff. Bay Area RV is definitely a game changer in the industry and driving the extra mile is definitely a worthwhile experience. I am a believer of Bay Area RV. Bay Area RV is now a premier and certified repair center for Heartland, Forest River, Thor and all the major RV and Trailer brands. Bring us your coach and you will be satisfied with the service that we offer. Seeking recommendations on short term RV rentals in Sacramento. Long story. Thanks! Fast, straight forward, fair, on-time, and helpful. Our service experience could not have gone better unless they would have towed our RV to the storage lot so we didn’t have to. In on Friday, and out on Monday. Steve E.
We would recommand the Bay area service to anyone who is looking for competent and count on able people…. I brought my Class A RV for an Aqua Hot and a bunch of repairs to Bay Area RV and I am very satisfied with the service. I would like to thank you for the job well done!!! The service has been very excellent, timely and very responsive. The entire team has been remarkable and I did not expect to have this A++ service from this team when I first stepped into this shop. Very respectful and nothing I can compare for all the RV services that I have gotten from San Jose service center. I am strong believer that Bay Area RV is the place to have my RV repairs from now on. High Marks for Bay Area RV Service!!! I just had my trailer body work and maintenance done at Bay Area RV and I am really satisfied with the work they have done. I am a full time RVer and needed a place to stay while repairs were being completed so they offered me a Class A RV loaner to stay at which no RV repairs have ever offered. Very professional, the body work looks great and highly recommended. They completed all the insurance paperwork and submitted to my insurance company for approval. It was an amazing experience working with the Bay Area RV team and no RV service center in the Bay Area can match the service. We had tried 2 other rv repair shops to get our ignition-starting and battery-charging problems resolved, without success. We were on our way to Yosemite and didn’t want to get stuck up there with flat batteries. We visited an rv shop as we passed through Gilroy and happened to meet up with Alison who was visiting the same shop. Our initial question was “where can we find an rv park with electricity” Alison not only directed us to a nearby park, but phoned ahead and alerted them that we were coming. As we left she mentioned that she and her husband ran a local rv repair business, so as she was so helpful I made a booking for repairs for the following morning. Her service manager got straight onto our job without delay, and after thourough testing told us that replacement parts woild have to be ordered in, and would not arrive for 2 days. She allowed that we could stay in the rv for the next 2 nights with electric power provided, and offered to drive us to restaurants and shopping, and even gave us a key for the front gate. A further problem we had discovered on our way to Gilroy was the front right brake overheating as we drove over the hill. Both font brake pads and caliper pins needed replacing, and the wheel bearings needed repacking, and this they did while waiting for the other parts to arrive. So 2 days later we were on the road again for Yosemite, very satisfied with the staff and the personal service, and reassured that all was well for our mountain trip. We are “full timers” in our 5th wheel now that my husband’s job has put us on the road. After 2 blow outs on I-5 traveling from Seattle to Gilroy we were so blessed to find Bay Area RV. They had to have our “home” in their shop to do the repairs which forced us into a motel. They made that experience so much nicer than it could have been. Everyone there was so friendly and helpful. They were right on time just as they said and everything was fixed beyond our expectations! The “underneath”, (excuse me for my lack of terminology), of our 5th wheel is better than it was before the blowouts! They also repaired our black tank washer and it works better than the day we bought our 5th wheel!! Several items were needing repair inside and they are all good as or better than new now. They worked with the insurance company and warranty company to get everything fixed. One part they had to find on E-bay! They made us feel like we were old friends and got us back in our home in no time! This business is definately A+/Class A. Only wish they would travel along with us on our journeys so they could always be there, just in case! DEFINATELY recommend them to anyone needing the services they offer!!! We had a propane smell in our motorhome, it was a weekend and we called them, they tried to get out on Saturday but all there techs were busy. They said to shut off the propane and the owner would come out on Sunday. On Sunday a tech showed up and fixed our problem. They also troubleshooted another problem .They were always calling to let us know someone would be there. They would also order the part we need to fix the other problem when we are at one place long enough to get it. Just a great place to deal with. I had a fried converter on my toyhauler. Bay Area RV staff and owner resolved all my concerns and questions in a professional and empathic manor. They were honest and helpful, giving me realistic quotes and installation times. I highly recommend their business. I want to let every one know that Bay Area RV just service my roof by performing a state of the art roof leak test. Amazing they found leaks that I have not seen and expected and they found it within an hour for $69.00 Great crew, honest, reliable and presentable people. Will be back again.